Its name meaning “without drunkenness,” purple amethyst is a gemstone that is believed to protect from poisoning as well as witchcraft. It symbolizes humility, serenity and temperance, but can also guard one from the guilty feeling and fear, and protect from self-deception. 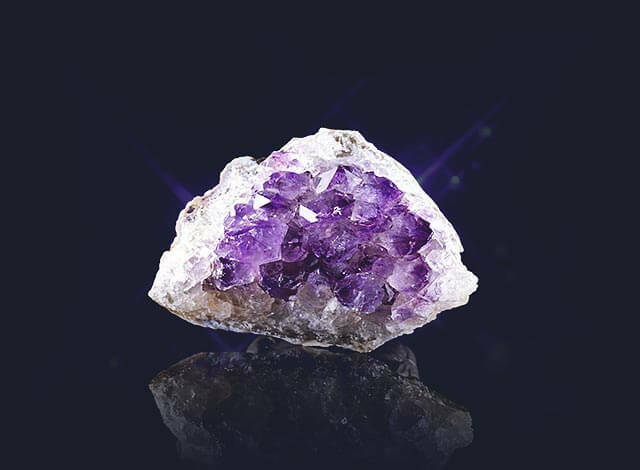 Put a purple amethyst under your pillow to cure your insomnia, inspire pleasant dreams and relieve headache. This gemstone can help one to focus energy and reveal wisdom; wear it as a necklace to use as a meditation or healing aid.